If you’re in the market for office workstations for a business in the Orlando, Florida, area, turn to the specialists at ROF. We offer new, used, and refurbished/remanufactured workstations to businesses in all industries, including financial firms, insurance agencies, and advertising agencies, so you are sure to find just what you’re looking for with us. Our rotating selection always includes a variety of office workstations that come equipped with high panels or low panels, above-the-head storage or side storage, glass panels or fabric partitions, and many other options. Furthermore, we have an in-house refurbishment team that would happy to slightly customize the office workstations you purchase exactly to the branding of your Orlando business. For example, if you would like to change the color of the cubicle panels to match the color scheme of your office that will be no problem at all. And, at ROF, we have teams of installers who will be able to assemble any of the furniture you purchase right in your office, so your business can be up and running in no time. 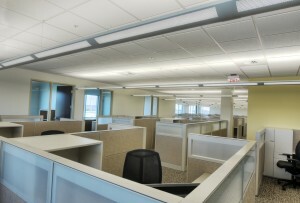 To learn more about the office workstations we can provide your business with, contact ROF today. And, to see our workstations for yourself, feel free to stop by our 140,000 square foot facility located just a short drive away from Orlando, FL.